Looking for a fun, tank-themed, day out for you and your family? On Saturday, October 3, Wargaming Europe will be returning to Arsenalen (The Arsenal Armoured Vehicle Museum): Scandinavia’s largest military museum, in Strängnäs, Sweden. If you came along last year then you can expect a fun day out, featuring a whole armoured vehicle museum to discover, a static live demo of a Centurion tank, presentations from Wargaming Europe staff with game information, APC rides, as well as Wargaming games with fully-unlocked accounts to play. We also plan to run contests, with chances to win a range of Wargaming themed T-shirts and goodies! Click here for directions on Arsenalen.se. 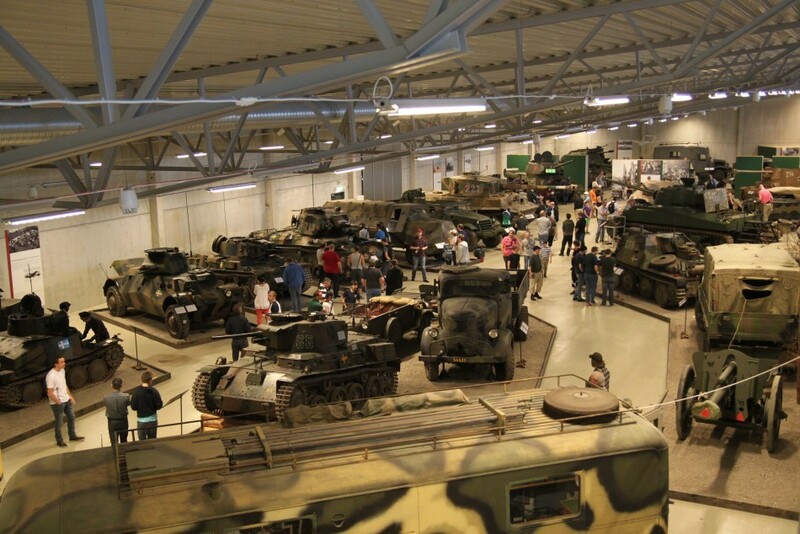 Visit Scandinavia’s largest military museum to learn and discover more about armoured vehicles. APC rides available throughout the day and a static live demo of a Centurion tank! Information on upcoming content for World of Tanks and our other current or upcoming Wargaming games. Meet with Wargaming Europe’s English Community Manager Brynd and other staff from the Paris office. The chance to acquire a community T-Shirt, in-game codes, and other cool Wargaming merchandise (especially so for early-arrivals on the day – see below!). Be one of the first at the museum on the day to buy tickets and you will receive goodies from Wargaming! Beware, it’s first come, first serve and supplies will be limited. But don’t fret, if you miss out on this opportunity, you will be able to have a chance to get goodies via the contests we’ll be running. If so, be sure to check out the museum’s dedicated website Arsenalen.se for more information, or feel free to ask in our forum discussion thread. We hope to see you there! We’re looking to make contact with big Swedish clans, especially if you’re planning to visit Arsenalen on the day we’re visiting. Why? Generally to get in touch, but also potentially for a bit of assistance on the day, especially for those who are not as confident with English. Please contact Brynd in the forum if you’re interested.